Toro is a warm inland region, and in the summer the 'warm' turns very quickly indeed to 'hot'. The relatively mild temperatures in 2007 have resulted in a Pintia which is marked by its aromatics ( violets and hedgerow) and balanced structure. From 100% Tinta de Toro (as Tempranillo is known in these parts), 50% of which has never been grafted, the wine is fermented and matured in oak, the maturation 70% in new French oak, and 30% in new American oak. The wine has characteristic dark, almost macerated fruit on the nose, but the palate is broader, more refined and perhaps longer than usual. The black cherry fruit is, as one would expect, shrouded in dense and ripe tannins, but the veil will be lifted over the next three to five years, revealing a complex and structured wine which will hold its own for several more years thereafter. 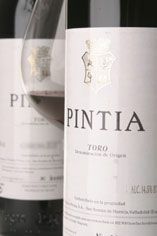 The Wine Advocate - The 2007 Pintia has a deep garnet core. The bouquet is powerful, almost as intense as the 2004, but it exhibits greater delineation and perhaps even more complexity. 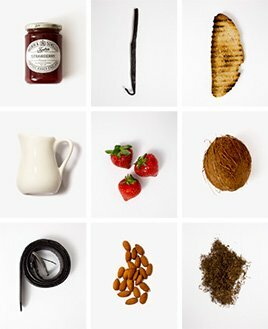 There are gorgeous notes of dark cherries, cassis and touches of dried violets. The palate is medium-bodied with a rounded mouthfeel a smooth, suave Pintia with layers of red fruit laced with dried herbs, cedar and a hint of Moroccan spice. The tannins are soft but define the 2007 at the moment. There remains some oak to be subsumed towards the finish, which exerts a firm grip. This deserves two or three years longer in bottle this is a little harlot of a wine! The wine region of Toro is a predominantly red-wine appellation in Castilla y León in north-western Spain. Toro is situated in the province of Zamora, west of the Rueda and Ribera del Duero wine appellations, and in the Spanish Duero river valley near the Portuguese border. The Toro appellation covers approximately 5,600 hectares of vineyards at an altitude of 600 to 750 metres above sea level. The region produces red wine across the spectrum from Joven to Gran Reserva, but all grades must be made from at least 75 percent Tinta de Toro (the local name for a clone of the Tempranillo red grape). The best reds tend to contain 100 percent Tinta de Toro and are robust, concentrated and well-structured. Cabernet Sauvignon is also planted in the region, but not permitted for its DO wines. 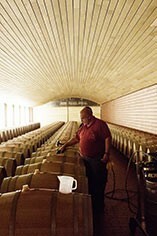 White wines constitute only a small proportion of Toro production and are made from Malvasía and Verdejo. Toro made its breakthrough when some of the greatest names in the Spanish winemaking scene showed their trust in the region's potential, and moved on to establish their own estates there. These included Vega Sicilia's Álvarez family, Rioja's Marqués de Riscal and Mariano García (the former Vega Sicilia winemaker) with its new Toro winery Mauro-dos. Jacques and François Lurton of Bordeaux also launched a winery (El Albar) in Toro, where they're making wine both alone and in partnership with renowned oenologist Michel Rolland (at his Campo Elíseo). In Valdefinjas, Rioja's Eguren family of Bodegas Sierra Cantabria has Numanthia-Termes, which makes Termanthia and Numanthia, two of the most well-known wines in the region today.